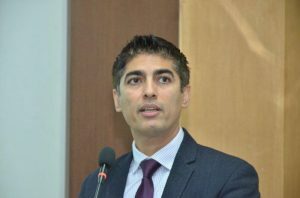 The existence and operation of illicit markets has been an enduring problem that has escalated in scope and magnitude, impacting industries, consumers, government and economies as a whole. 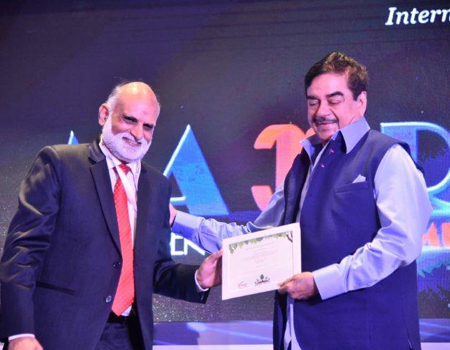 In fact, it is today one of the biggest challenges faced by Indian industry, impacting ‘Brand India’ globally. Intellectual property rights incentivize innovation and creativity, which strengthen the economic growth of a nation. Enforcement agencies such as the police play a pivotal role in protection of these rights. There are adequate laws available to tackle such crimes, but their adequate enforcement makes the role of enforcement officers extremely important to fight against counterfeiters and smugglers. 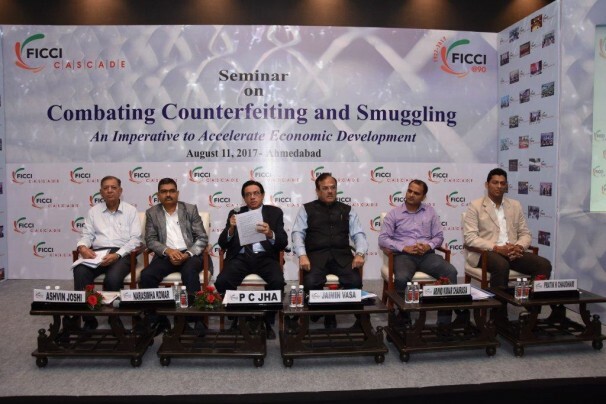 FICCI’s Committee Against Smuggling and Counterfeiting Activities Destroying the Economy [CASCADE] in its endeavor to fight the twin menace has over the years been sensitizing the country’s enforcement agencies on this issue, equipping them to understand and take requisite action against the various economic offenders. 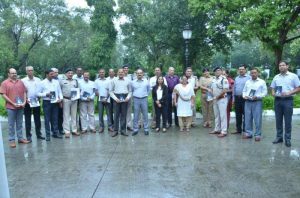 Keeping the above in view, FICCI CASCADE organised a training programme for Delhi police officials at the Academy for Smart Policing in New Delhi, on 27th July 2018. 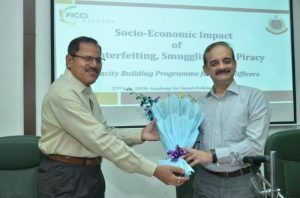 A key objective of the program was to sensitize the officials on seriousness of the socio-economic impact of counterfeited and smuggled goods, in terms of the huge revenue losses to the government and industry as well as the significant health & safety consequences faced by consumers and the society at large. 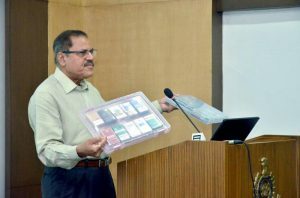 Mr. Vivek Gogia, Special Commissioner of Delhi Police-Training, who inaugurated the programme, referred to the various studies which disclosed how rampant counterfeiting and smuggling were in medicines, cigarettes and drugs, and why partnerships among stakeholders were vital in addressing the problem. He also spoke on how the menace of illicit trade was funding organized crime, elaborating further on how protection of IP rights played a key role in the growth of an economy, on the profit and survival of business and industry, generation of employment. 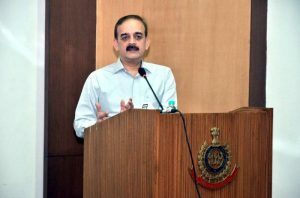 Congratulating FICCI CASCADE on the useful initiative to sensitizing police officers on this very pertinent issue, he urged the participating officers to take advantage of the presence of the various subject-experts during their subsequent interactions, stressing that “Police must protect the image of our country as a good enforcer of laws”. 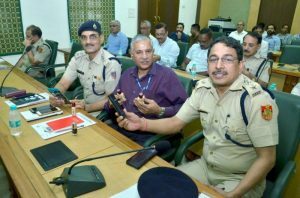 During the ensuing sessions, the police officers were apprised on the counterfeiting and smuggling trends witnessed in various products, percentages of illicit products sold in open markets and the revenue losses incurred by Government. Mr. 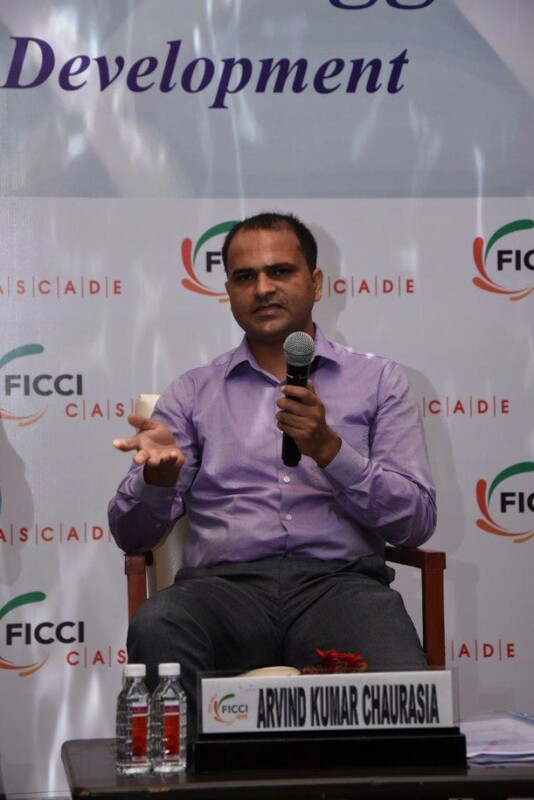 Deep Chand, Advisor FICCI CASCADE and former Special Commissioner of Delhi Police, spoke on the alarming occurrence of counterfeit products in various markets and its impact on the socio-economic growth of the nation. 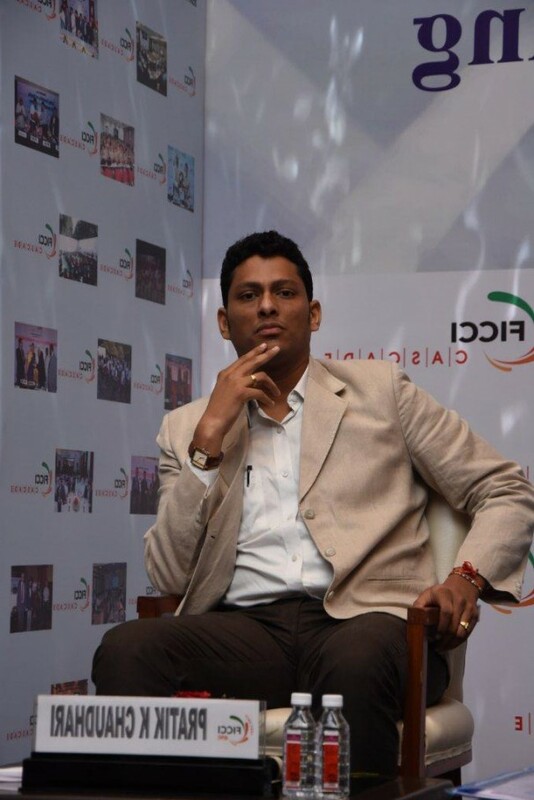 He informed that FICCI CASCADE reports estimates had put the total loss to Indian government because of illicit markets in just seven manufacturing sectors at Rs. 39,239 crores, while the estimated loss to industry was Rs. 1,05,381 crores, an increase of 44.4% in only two years, adding further that this loss was just the tip of the iceberg. The grey market economy is fueling illegitimate industry and leading to increased criminalization of the society in the form of organized crime, including terrorism. Global studies have indicated that criminal syndicates all over the world have taken to counterfeiting and smuggling to fund their nefarious activities, making our society not only unsafe but also significantly adding to the enforcement costs. 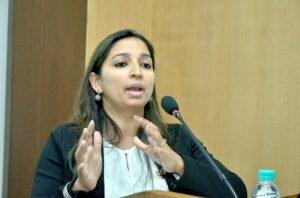 The training programme provided a useful platform for the exchange of ideas and experiences in the enforcement of laws and practices while dealing with counterfeiters and smugglers. The ensuing speakers deliberated on the various aspects that a police officer needed to keep in mind while investigating cases of illicit trading, including: legal provisions relating to economic offences, penalties imposable for counterfeiting and smuggling; cases of international best practices in fighting counterfeiting and other forms of illicit trade and practical aspects of investigation of IP and related economic crimes. 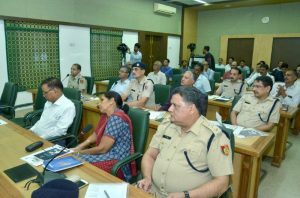 The technical sessions were followed by an Interactive-Session of the police officials with industry representatives. Industry members highlighted the on-ground practical issues which they faced with regards to the availability of spurious goods and discussed collaborative actions needed with enforcement agencies to counter this menace. Prototypes of fake and smuggled goods available in the markets were also displayed and discussed with the officers. Among the speakers who discussed the wide-ranging concerns on this issue with the participating police officials were: Dr. Alka Chawla, Associate Professor, Faculty of Law, University of Delhi and Advisor, FICCI Intellectual Property Education Centre; Ms. Shilpi Jha, Senior Legal Counsel for Intellectual Property – South Asia, Embassy of the United States of America; Mr. Vikrant Rana, Managing Partner, S.S Rana & CO, Ms. Swati Mujumdar, Regional Legal Manager – North, Hindustan Unilever Ltd.; Ms. Lohita Sujith, Director, Corporate Communications, Motion Pictures Association, India and Mr. Sanjay Kaushik, Managing Director, Netrika Consulting and Investigations Ltd. 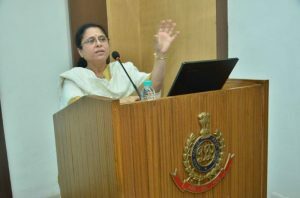 The workshop proved helpful not only in updating the police officers on the relevant laws and procedures to be followed while dealing with the cases related to smuggling and counterfeiting, but also in sensitizing them on the need to extend increased priority in tackling the illicit trade menace in view of its significant adverse socio-economic impact on the country. 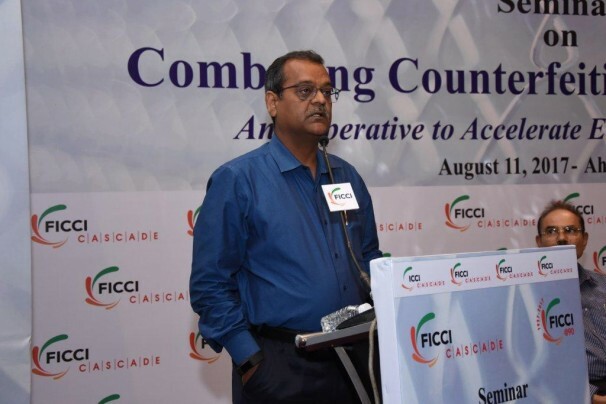 During 2018-19, FICCI-CASCADE proposes to hold more such workshops across the country in briefing enforcement agencies on procedural and enforcement issues while tackling illicit trading activities.